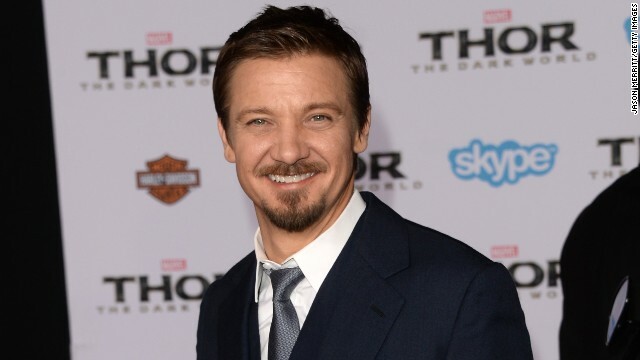 Jeremy Renner's daughter, Ava Berlin, just came into the world in March yet the 42-year-old already knows the first lesson he's going to teach her. "Compassion," the first-time father tells Elle magazine. "Something a lot of people don't teach." As for what he's learned from his own parents, the Oscar nominee says he's absorbed what not to do in relationships - his mom and dad have both been married three times. "I don't really get involved in that kind of stuff," he says, although he adds that his dad has offered some advice when it comes to women. "We both studied theology and psychology, so we had wonderful conversations about human behavior and our own patterns and the bulls*** that gets in the way in relationships," Renner says. "In every issue and problem that comes, let’s not point the finger. Think, Where did I go wrong? Where’s my part in it?" As far as what he looks for in a lady, the "American Hustle" star says he loves a woman who can think more like a man. "Men and women - there's a lot of headwind in that department, and there are very different principles and emotions and outlooks," Renner explains. "My girl (Sonni Pacheco) is masculine in a lot of ways, even though she looks like a supermodel. That works out. A girly girl just doesn't do it for me. I can't have a conversation about your broken nail." It's not an insult to say a woman can be masculine. I'm a woman and I dislike conversations about broken nails too. I'm sure Ava will grow up to be a beautiful girl, with the help of her parents of course. It doesn't matter what your fanatical fans think. They don't care for you and they love spreading hate all over globe. Good on you for standing your ground, Jeremy and good luck! It isn't offensive to say a woman can be masculine, no. It is to attribute positive qualities to masculinity and ascribe less positive or attractive qualities to femininity ("girly girl"). Apparently to be "girly" means to be so vapid and vain that one can only have conversations about broken nails and have no substance to offer. Whatever good qualities or likable attributes "his girl" has, they have nothing to do with masculinity or femininity. I don't think anyone was offended by his calling her masculine. If he had left it at that it would have been fine. A woman only wanting to talk about her broken nails does not make her girly, it makes her a dreadful conversationalist and possibly a little dim, and equating the two is a little off putting to many. Out of interest, this is an interview building up to the American Hustle press tour. In one of the clips for the movie Jeremy and Christian Bale's characters are shown having a conversation at dinner, but are interrupted by their wives who want their opinion on nail varnish. I wouldn't be surprised if that is where the nails remark came from. I must admit I use the word girly girl as an insult too, in pretty much the same way as I use the term macho man, both are extremes I don't particularly care for. I also identify typically masculine and feminine characteristics. Behaviorally I am more typically masculine than most women and prefer the company of similar women or (non-macho) men. I don't really care how he expresses himself, I understand what he means.